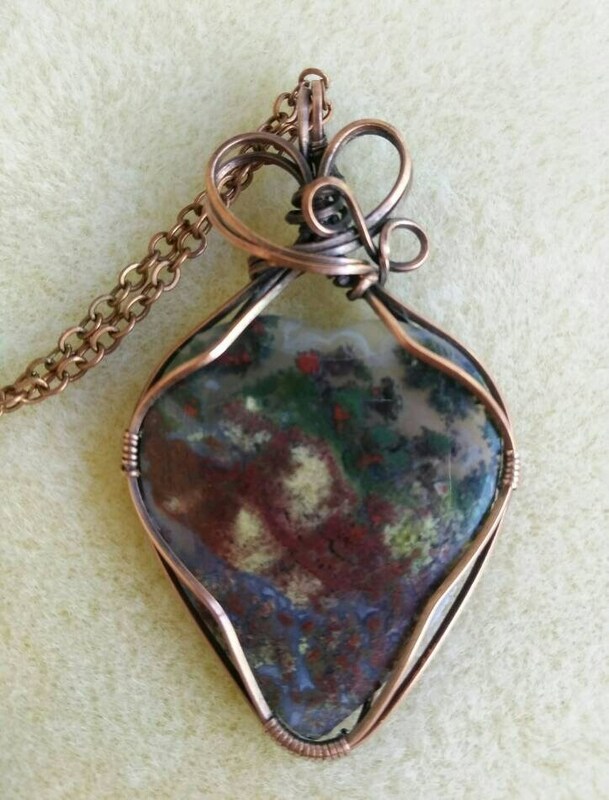 The earth tones and copper wire make this wire wrapped pendant perfect for fall. The total measurements of the pendant is 60mm x 34mm (2 7/8" x 1 1/4"). 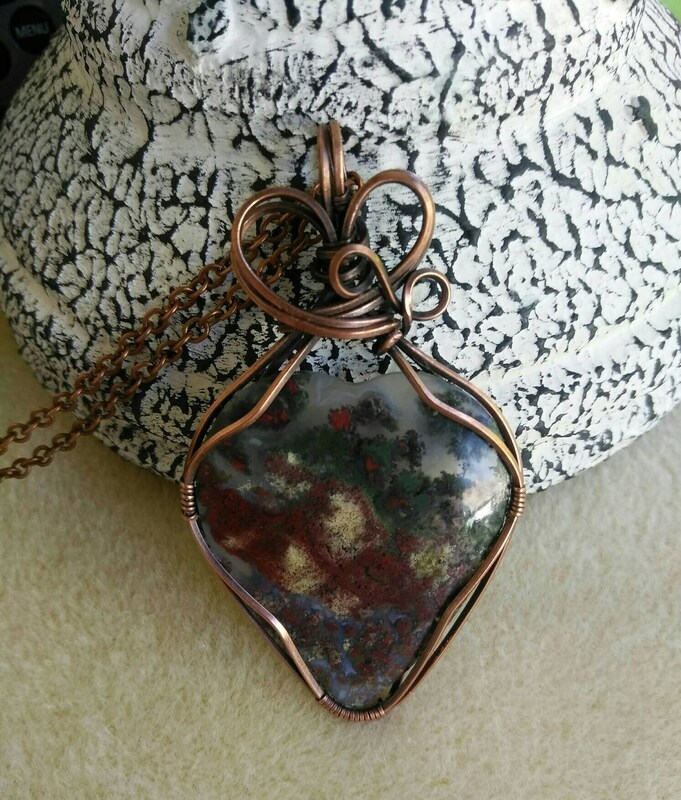 It includes a 35mm x 32mm (1 1/2" x 1 1/4") scenic moss agate and oxidized copper wire that is hand wrapped and polished. Included is an 18" (47cm) antique copper chain. It also has a 2" (5cm) extension making the necklace adjustable from 18" (47cm) to 20" (52cm). ****If you would like a different length chain please let me know in the comments when checking out.